I swear I used to be a runner that just owned one pair of running shoes. But somehow over the years I seem to have accumulated a bunch of different pairs, each of which has a different purpose in my training schedule. 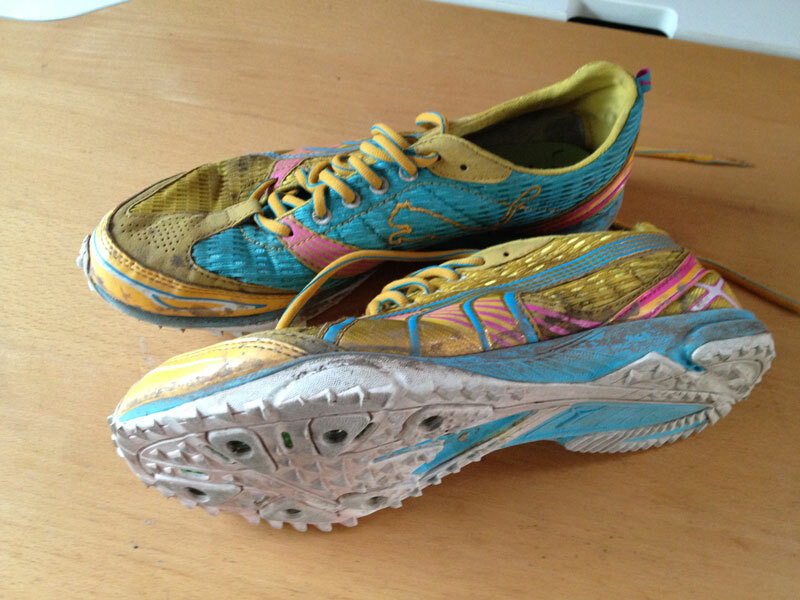 I wear these for… Tempo and Threshold runs, like Run dem Crew. These are extremely light road shoes, and they’re best for anything fast. What I like: They’re super lightweight, they’ve got a really wide toebox so my toes can splay as wide as they possibly can and still not touch the sides! They’ve also got an integrated tongue on one side so they’re really comfortable with no chafe points. What I don’t: The sole is designed for the road, but they’ve got crap traction in the rain. My feet also get super sore from the impact if it’s anything longer than 10k (I’m still building my foot strength!). 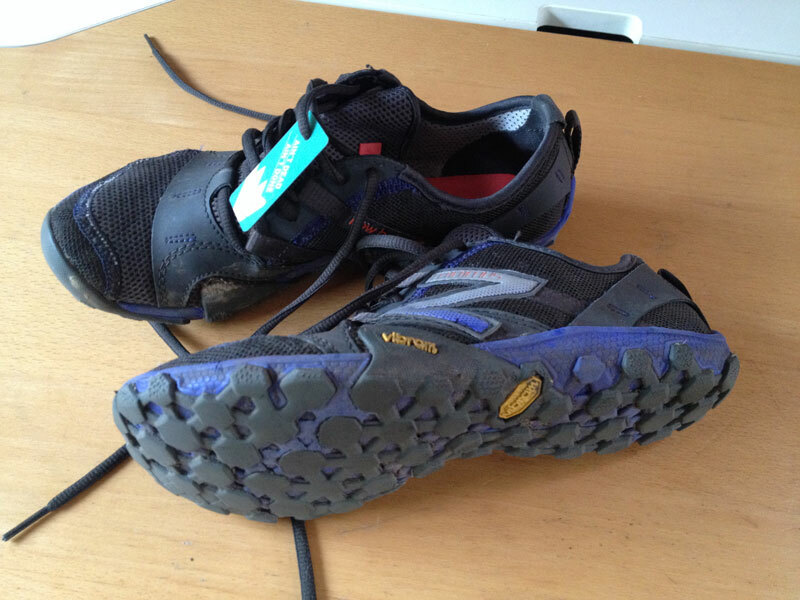 I wear these for… Summer trail running mostly, though before I got the road-specific pair above, I did all my road mileage in these, including running London marathon. What I like: Like the other Minimus, these have got a great, wide toe box and the mesh on top keeps my feet nice and cool. There’s more grip to the Vibram soles on these, too, so they’re fine with a bit of Hampstead mud. What I don’t: If you run on the road too much, the soles really wear down to nothing pretty quickly, and this particular pair had a hard bit of stitching by the forefoot that wore into my right foot for about 6 weeks (a previous pair of the exact same style didn’t have this issue). I wear these for… Long distances on the road. What I like: We bought these specifically because my poor, tender feet were getting overly sore from running anything over 10k on the roads in minimalist shoes. I got black toenails just from the impact forces in London marathon, and we wanted something that was still minimalist, but with some better forefoot cushioning. It took two tries to get the sizing right, but these have also got an adequately-wide toe box. I also love the knobbly laces, which just don’t budge even if they’re only single-knotted. What I don’t: They’re ever-so-slightly too short for my big toe, which rubs a little bit at the end (but the next bigger size was way too big in the forefoot, making me slide all over the place!). Oh, and the pink. Pitiful (ie: no) choice in colours for women. I wear these for… Track! Even though I originally bought them for cross country, which it turns out I hate. 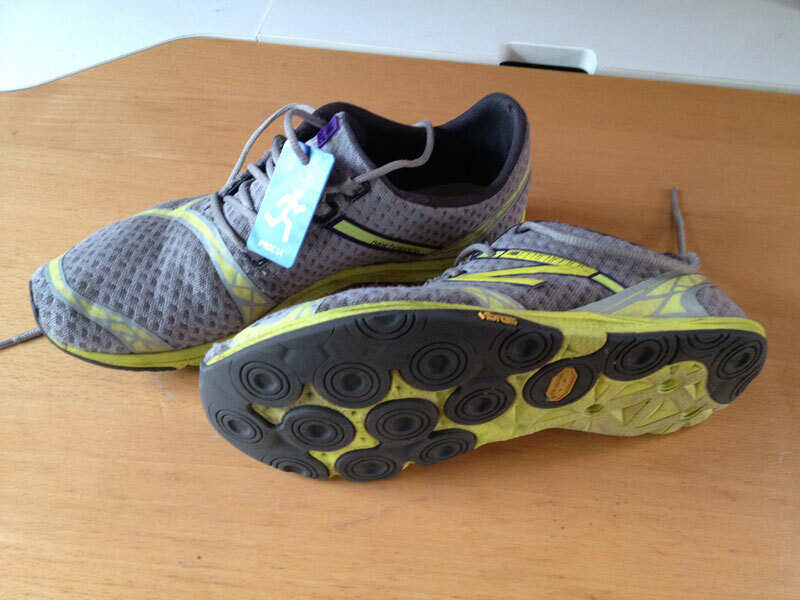 What I like: These are lightweight, flashy, and have fantastic traction for the track, even without the spikes in. What I don’t: My poor toes feel squished together as they’ve not got enough room to splay fully when I land, meaning I tend to get blisters between my toes after long sessions. 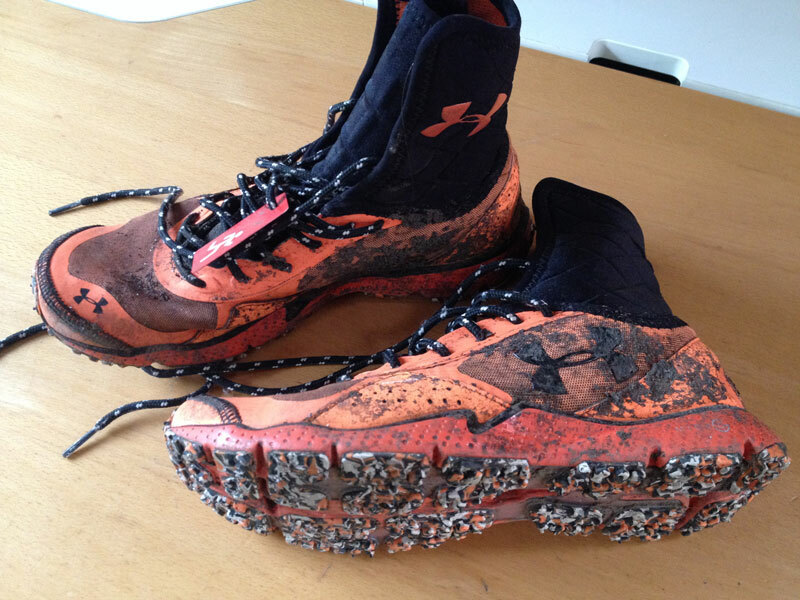 I wear these for… Winter trail running, when the mud is up to your knees! What I like: They look totally bonkers, but I love the high tops – they give great ankle support and I’m never worried that I’ll lose a shoe in a bog. They’re also surprisingly lightweight, have a stretchy toebox, and a good, grippy sole. What I don’t: The sole gets worn down very easily if you have to run on pavements to get to the trails, and they’re an absolute bugger to get on and off when they’re caked in mud! What about you? 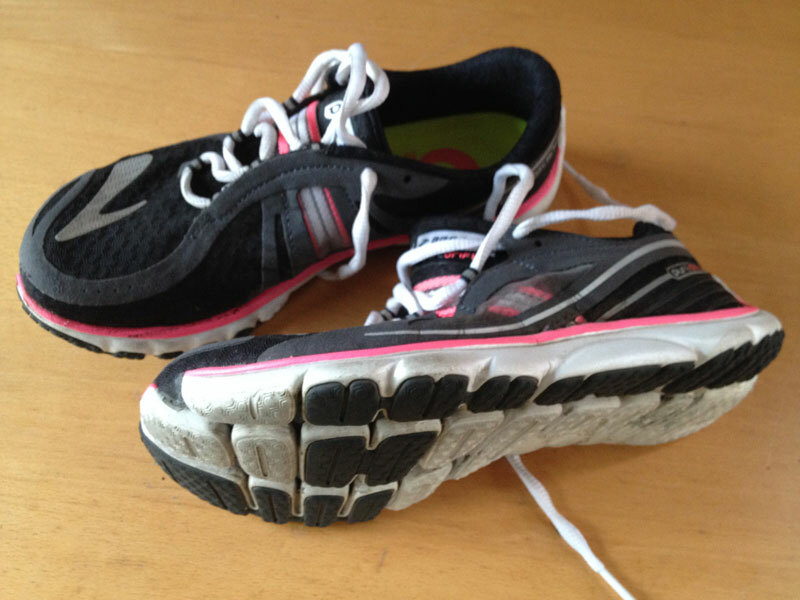 How many running-specific shoes do you have? Surely I’m not some crazy outlier here, right?